Cats Protection | Adopt a cat | What is our adoption fee? While the love and attention they get comes free, other aspects such as any veterinary treatment, neutering and microchipping has to be paid for. That’s why we ask all our adopters for a fee – it allows us to carry on helping more and more cats that desperately need our help. It’s not just all the care our cats receive while they are with us that makes coming to Cats Protection (CP) the best choice. We can offer you four weeks’ worth of free pet insurance through Petplan, the UK’s leading pet insurers, and can provide support, help and guidance on getting your new cat settled in with you. Choosing a CP cat is such a wonderful way of getting a cat and you really are helping us to give cats, many of which have been simply abandoned or mistreated, a loving new start in life! Take a look through a few of our frequently asked questions below for more information on our adoption fee. Cats Protection used to ask for a donation – so why do you now ask for a fee? Asking for a fee rather than a donation means we can make the money we receive go further. We can do this by claiming back the VAT on the costs we incurred getting your cat ready to be rehomed. This money is used by our branches and centres to further their cat welfare work. Of course, should you feel able to make a donation on top of paying a fee it would be gratefully received and would help us claim back Gift Aid as well. All this means we can help cat after cat in the future. We know times can often be hard so thank you again for your decision to take a CP cat! Do other animal welfare charities charge a fee? All the other major animal welfare charities charge a fee, including RSPCA, Dogs Trust and The Blue Cross. While smaller local charities may not charge, it is worth remembering all the benefits that choosing a CP cat provides; full health checks and a period of free insurance to name but a few. For more information, see the Why adopt from us page. Is the fee you charge the same at every branch or centre? Fees will vary depending on the sort of cat you have chosen to rehome from us. There will also be some differences in the fee from branch to branch and centre to centre. This is because some branches have to pay more for veterinary treatment than others, and may have higher costs when looking after cats. What will be the same across the charity is the dedicated love, care and attention that we devote to cats to make them ready for a loving new home. Every cat from every branch and centre will have received a health check, flea, roundworm and tapeworm treatments and at least one vaccination against cat flu and enteritis. They will also have been neutered if relevant. Your fee doesn’t cover all these costs but will help us towards paying them! You’ll also be entitled to take out the free period of insurance whichever branch or centre you visit. What happens if my cat falls ill after I get him home? Can I get my money back? Our branches and centres will do everything they can to help you should you have problems with your cat. We will let you know should your cat have any pre-existing illnesses before you take him home and we do this because we want to make sure they are cared for and receive the right veterinary treatment. We always offer support once you have taken your cat home – the best thing is to talk to the branch or centre where you got them from. They will be able to help and advise. I can’t afford the adoption fee, but would love to rehome a CP cat. Can I still have one? It’s best to talk to the branch or centre in the first instance. Obviously owning a cat comes with regular costs for food, accessories and vet bills. As a charity we have to be very mindful of our finances but, of course, we are always grateful to anyone who can rehome one of our cats – talk to your branch or centre who will be happy to try to help. Thank you again for choosing Cats Protection and for all your support. 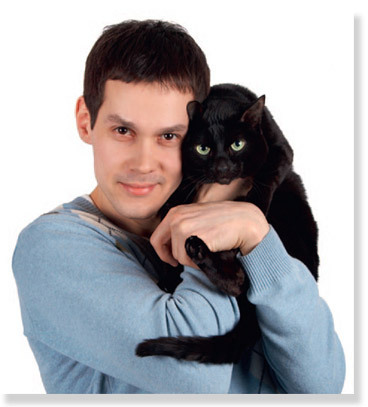 We are sure you and your new cat will have a happy and fulfilling life together!